The rewinding line is engineered to wind wires or insulated cables from one reel size/type to a different reel size/type in order to prepare the product for a different internal process, or customer delivery and packaging. 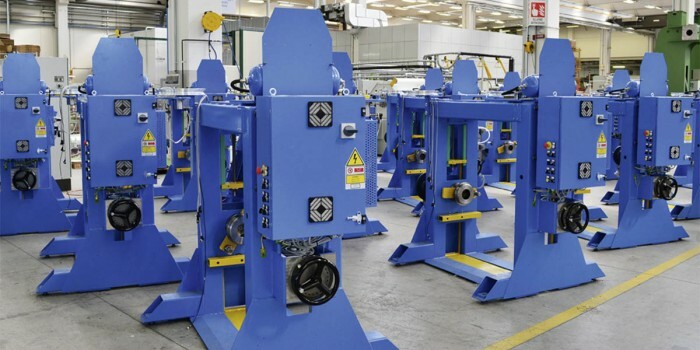 Our machines are engineered for a wide production range in order to supply you the most flexible solution for your production plant. Sampsistemi’s pay-off and take-ups are available to work with different wire size and conductor type thanks to the speed and torque control modalities present whether the cantilever version or the self-traversing portal version. We can load plastic reels, wooden reels and steel reels according the international DIN specifications.